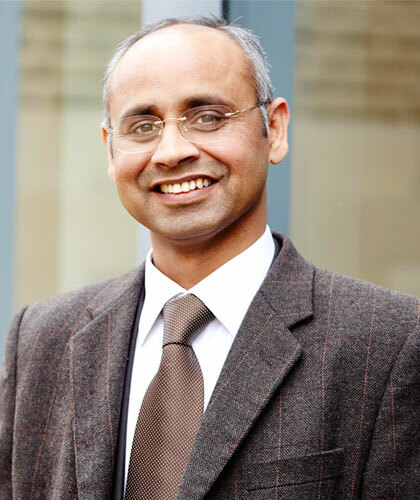 Dr Surender Munjal is an Associate Professor of International Business and Strategy at the Leeds University Business School. He holds three important portfolios at the University of Leeds and the Academy of International Business (UK& Ireland Chapter). Dr Munjal won various accolades for research and teaching. He has published in a number of academic journals, including British Journal of Management, Journal of World Business, Cambridge Journal of Economics, Journal of Business Research, International Business Review and Journal of International Management. He is an editorial board member of the Production and Operations Management, International Business Review, Management International Review, Asian Business Management, Journal of Asia Business Studies and Foreign Trade Review. His research focuses on outsourcing and offshoring strategies of multinational enterprises in India and internationalisation strategies of Indian multinational enterprises. He has won various accolades for his research and teaching. He was a runner up for the AIB and AOM best dissertation awards. Dr Munjal earned his doctorate in International Business from the University of Leeds and Master of Philosophy in Marketing from the Delhi School of Economics. Dr Munjal is also a qualified Chartered Accountant and Management Accountant.